I just wanted to follow up on the excellent job that your technicians Kyle and Steve completed at the site on Friday. They were very professional, clean, and neat in their work process. This work will help the sidewalks at this site perform as they should in both safety and appearance. Married with five fabulous children, originally from Wales in the UK and now a resident of Thornhill, Ontario, Paul Mendell brings more than 30 years of sales, marketing and customer service experience to our team. A friend of his, who works with the Basement Systems Dealer Network, told Paul what an exceptional organization it is and thought it would be a perfect fit for Paul’s passion to help clients accomplish their goals with peace of mind. 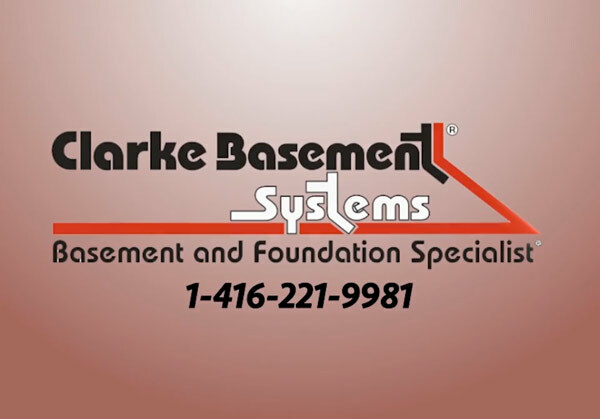 After meeting with Clarke Basement Systems, Paul was offered an opportunity to join their team as a System Design Specialist. Last but definitely not least, Paul enjoys boating, travelling and anything outdoors! Using our PolyLevel® Injection, we were able to lift this pool deck so that it would be level with the concrete coping and remove numerous trip hazards. We used PolyLevel® Injection to eliminate numerous trip hazards on the main walkway for a plastics moulding facility. Our customer's basement floor had sunken over 2 inches stalling their renovation project. To continue their plan, the floor needed to be level. With the help of our team, we injected high-density PolyLevel® to compress the loose soils underneath and raise the concrete. The family can now continue with their renovation project and use the space to its full potential.